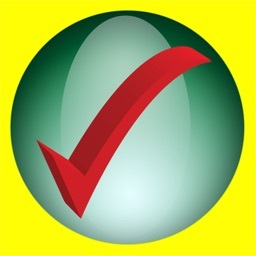 Grocery - Smart Sorting Grocery List offers terrific features to keep your list organized and ready when you need it. Add items easily, share lists, set reminders, copy and paste multiple products, and back up data in Apple’s Reminder app. You can also use Siri to add items and mark items off your list on your Apple Watch. 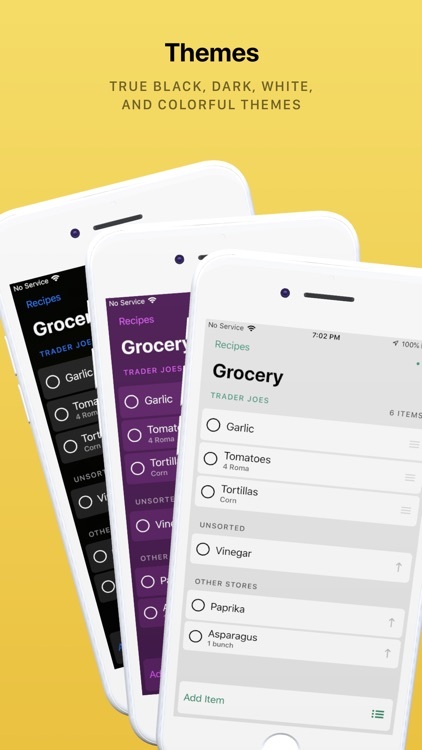 With Grocery - Smart Sorting Grocery, you can manage your list anytime, anywhere. 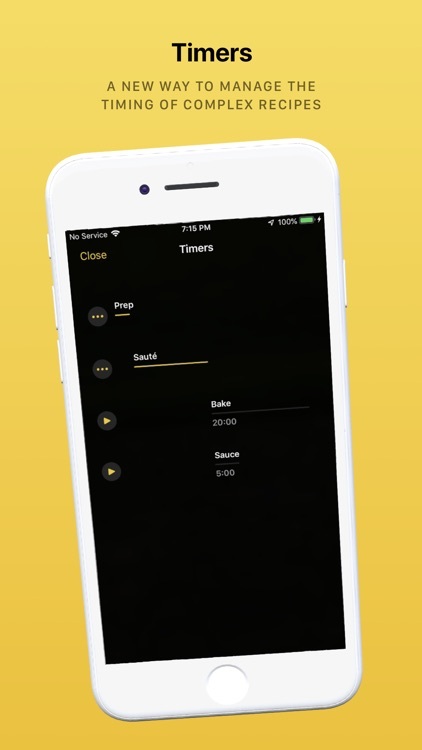 Use Siri or your Apple Watch and take advantage of reminders and list sharing. 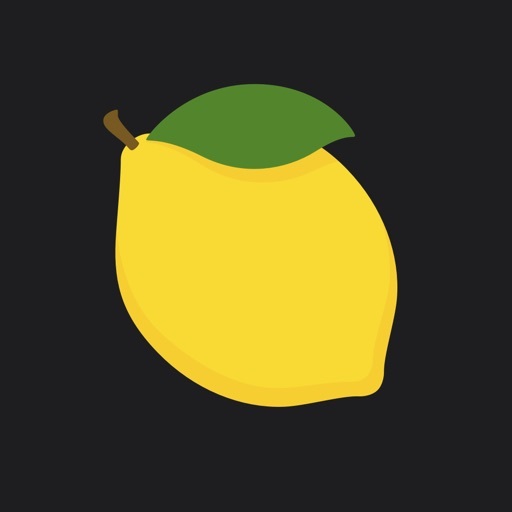 Grocery is the smartest and fastest grocery shopping app. Keep your list sorted while you shop with your Apple Watch. 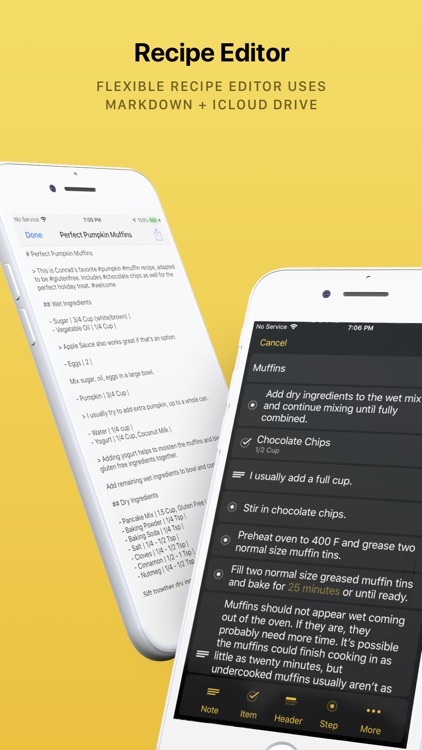 Easily add items from Siri and Recipes. Share your lists with partners and add items to your list on iCloud! Grocery keeps your list in Reminders so sharing a list is as simple as sharing your calendar. 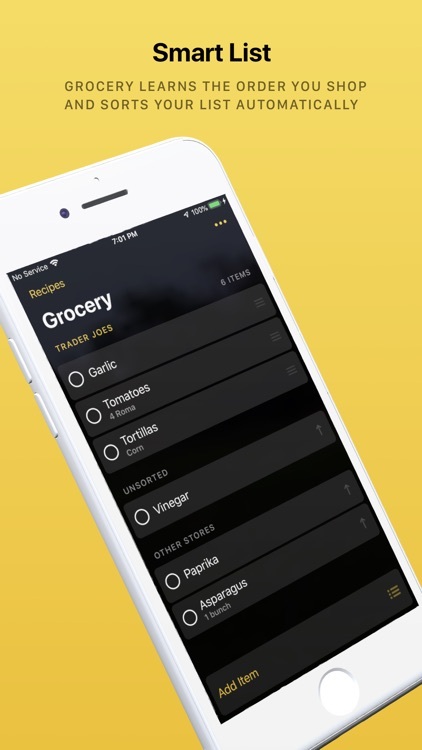 Grocery was designed from the ground up to work best with Apple Watch. Checking items off your list on Apple Watch is lightning fast. You can even add items from the watch if you need to! 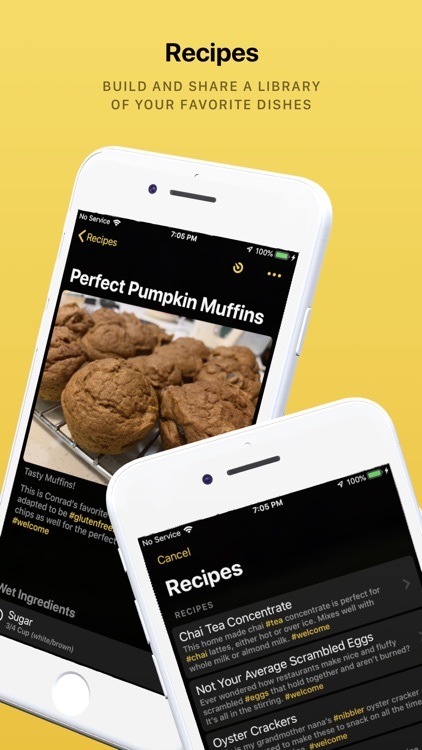 Create Recipes in Grocery for quickly adding ingredients to your shopping list, and an efficient cooking experience optimized for mobile. No more scanning back and forth between the ingredients and instructions! 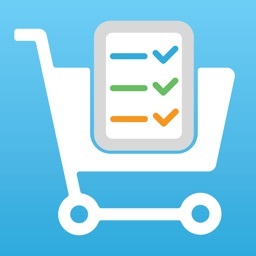 • Add items to your list with Siri. 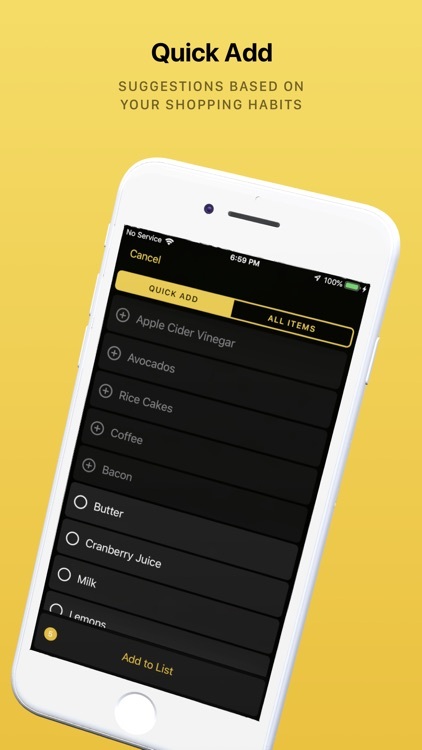 • Tell Siri: "Add Eggs to my Grocery list"
• Quick Add uses your shopping history to suggest items you frequently shop for. • It's great for adding frequently shopped for items to your grocery list. 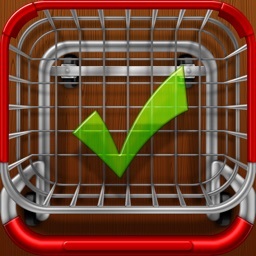 Grocery Premium is charged to your iTunes Account at confirmation of purchase. Your Account will be charged the same price for renewal within 24 hours prior to the end of the subscription’s one-year period. 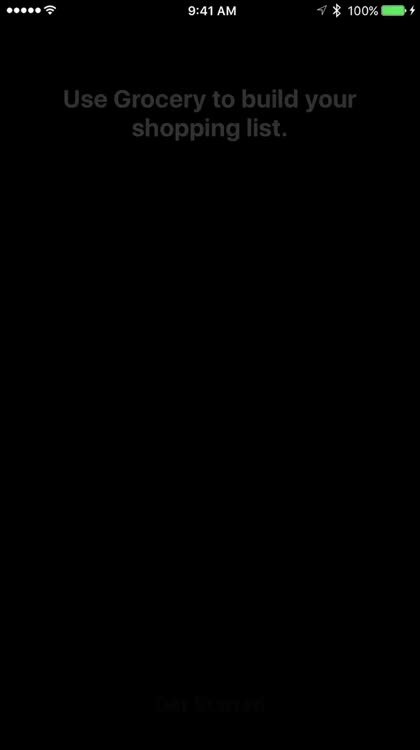 Your subscription renews automatically unless auto-renew is turned off at least 24 hours before the end of the current period. You can manage your subscriptions or cancel auto-renewal at any time on your Account Settings in the App Store.